The 2016 Infiniti Q70 is graceful even when parked. Sweeping, sensual lines flow from front to back, and some might even say the Q70 looks as if it’s in motion even when at a standstill. They say elegance can’t be taught, and they’d be right. It’s something inherent, something you’re born with. It oozes from every crevice and crease, and flows over every curve and edge. Either you’re elegant or you’re not; and the 2016 Infiniti Q70 is most definitely that and so much more. Just looking at the silhouette of the 2016 Infiniti Q70 and it’s clear to see just how sophisticated and debonair this vehicle is. From nose to tail, this sedan practically screams class and luxury, and with good reason. 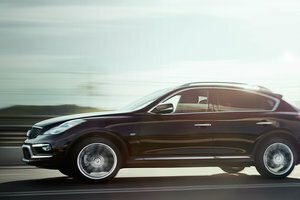 The designers and Infiniti took great care in engineering a vehicle that’s not only appealing to the eye but also a lifestyle. The 2016 Infiniti Q70 is graceful even when parked. Sweeping, sensual lines flow from front to back, and some might even say the Q70 looks as if it’s in motion even when at a standstill. Sculpted and muscular, the Q70’s exterior shell gives away the power and performance harnessed beneath the sheet metal in all the right ways. 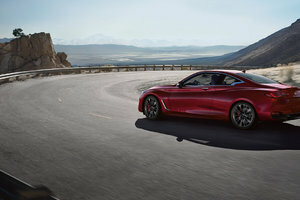 That power is delivered from a 3.7L engine that produces 330 horsepower and 270 lb-ft of torque, and said power is controlled via a 7-speed automatic transmission with Adaptive Shift Control and a driver-adaptive learning algorithm that sense and learns your driving style to adapt to it and offer your optimal shifts. Power is sent to all four wheels at all times as only AWD is available, and there is also an Infiniti Drive Mode Selector that allows the driver to choose between Standard, Sport, Snow or Eco modes. 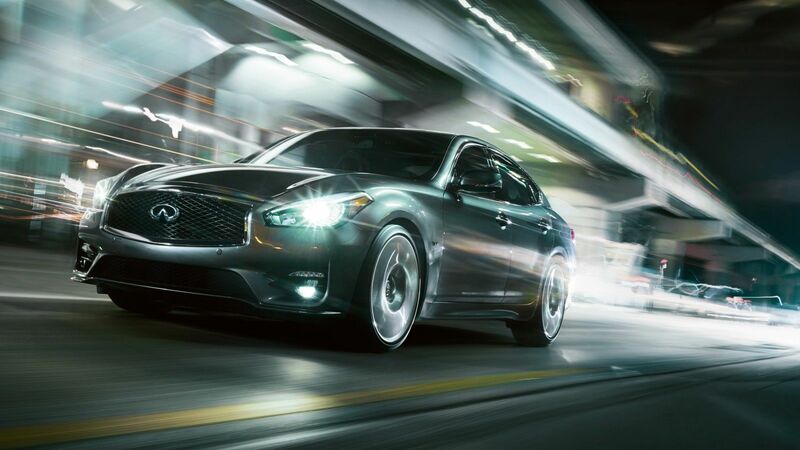 There’s much more to the 2016 Infiniti Q70 than just its stunning good looks and powerful engine; this sedan offers gobs of interior hi-tech amenities as well as safety features. For starters, the 2016 Q70 offers up an All Around View monitor that offers a bird’s eye view thanks to all-around cameras perfect for parking or tight urban-street situations. The Q70 also features Infiniti’s Hard Drive Navigation System that features Infiniti Voice Recognition and NavTraffic that gives you detailed traffic information when needed. There’s also an available 16-speaker Bose Studio Surround Sound System that is sure to ensure any and all road trip tunes sound beyond amazing as you cruise around in your oh-so elegant Q70. 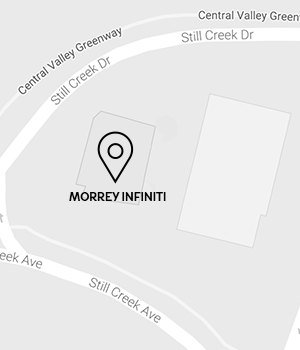 To find out more about the sophisticated, high-end 2016 Q70 sedan from Infiniti, head down to Morrey Infiniti today to speak to one of our experts about everything this luxurious vehicle has to offer. And don’t forget to book a test drive, too.